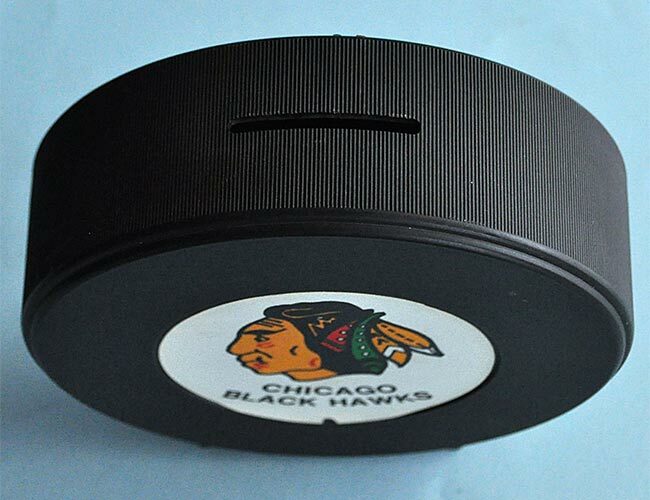 Piggy banks are passe, but puck banks are awesome. 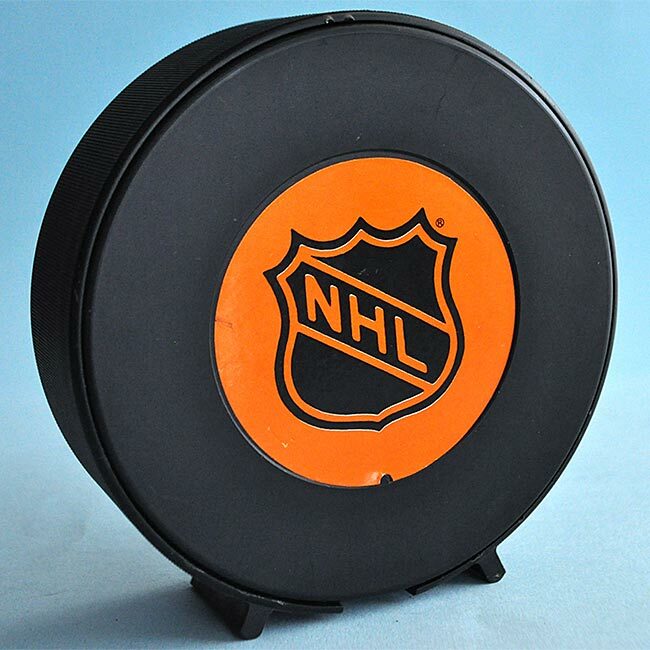 This is a large plastic puck, hollow inside, with a coin slot on the top and two “feet” on the bottom so it can stand upright. 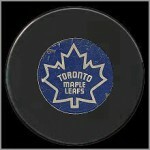 It measures 5 inches in diameter and was made in the 1970s. I found this at my local card shop last month. At a mere $3, it was begging to come home with me. 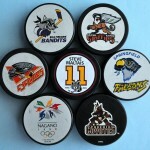 My site is called Puck Junk, after all, and though I don’t really collect pucks, I do like odd hockey items. So I had to find out more about this one. 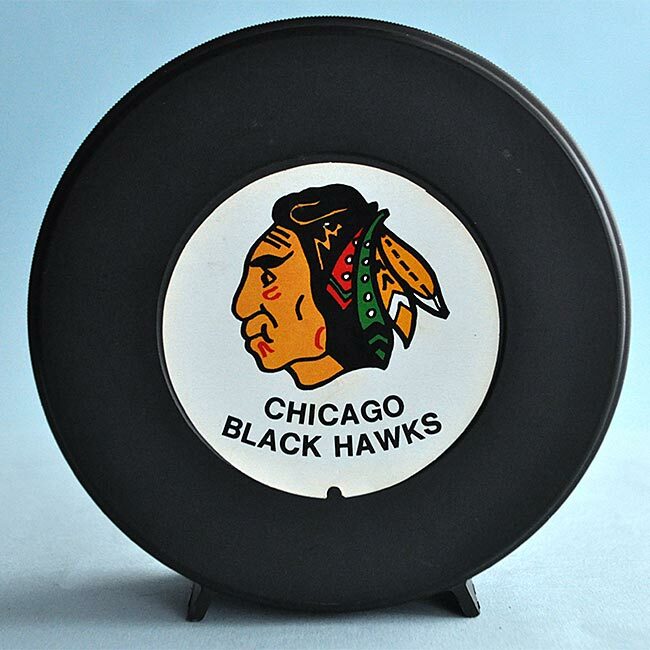 As you can see, the team name “BLACK HAWKS” is spelled with two words. The team was rather inconsistent on the spelling — sometimes using one word, sometimes using two — until 1986. But the logo is not quite right. 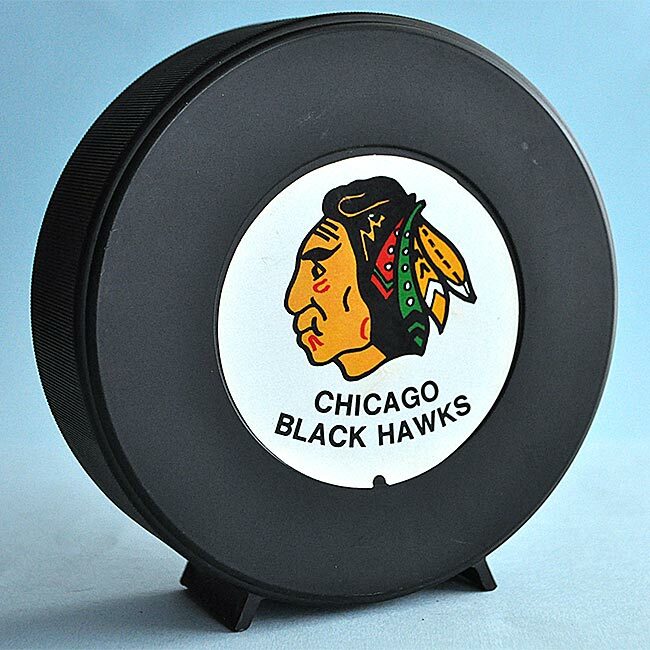 It looks similar to a Blackhawks logo, but does not match any specific one. 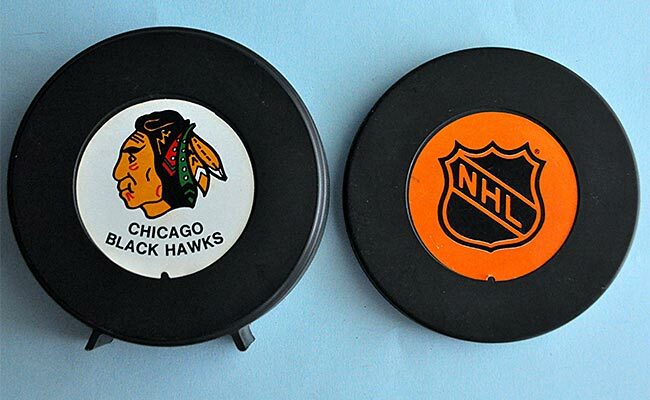 For whatever reason, a lot of hockey merchandise prior to the 1990s seemed to use an approximation of a team’s logo. 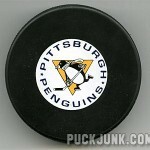 Just think of how bad some of those logos looked on hockey cards from the 1970s and 1980s. The bank splits open into two halves via a notch at the bottom that you can use to pry it apart. 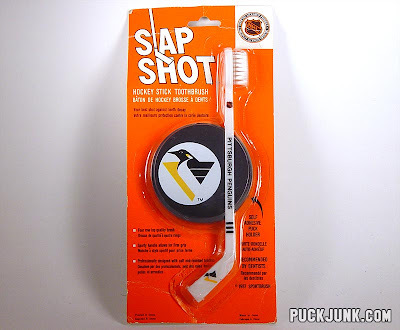 It has no copyright date, but was produced in the 1970s. 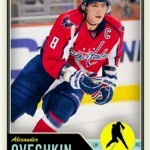 PHOTO-MARKETING, INC. ST. LOUIS, MO. Very happy to see this one.. 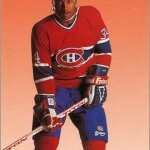 I have the Montreal Canadiens one since I can remember… I was born in 1978. Still have it somewhere, this is a good souvenir!